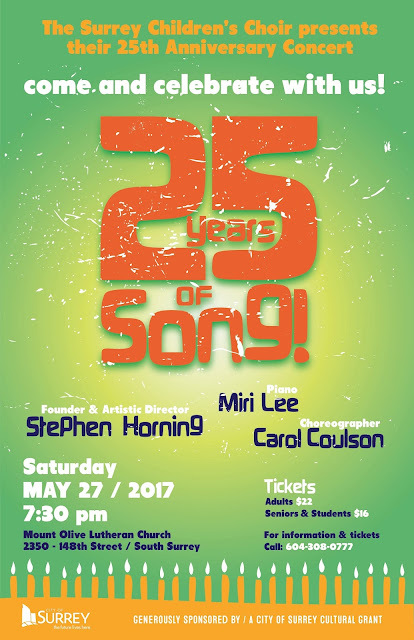 The SCC family of choirs is delighted to mount it's 25th annual holiday concert on Saturday, December 10th, at 7pm, at First United Church in White Rock. The first of three concerts in our "Silver Anniversary" season, this family friendly show is sure to put you in the Christmas spirit, complete with sing-along numbers, old familiar favourites, and new treasures. We look forward to seeing you there! It's time for our year-end concert! 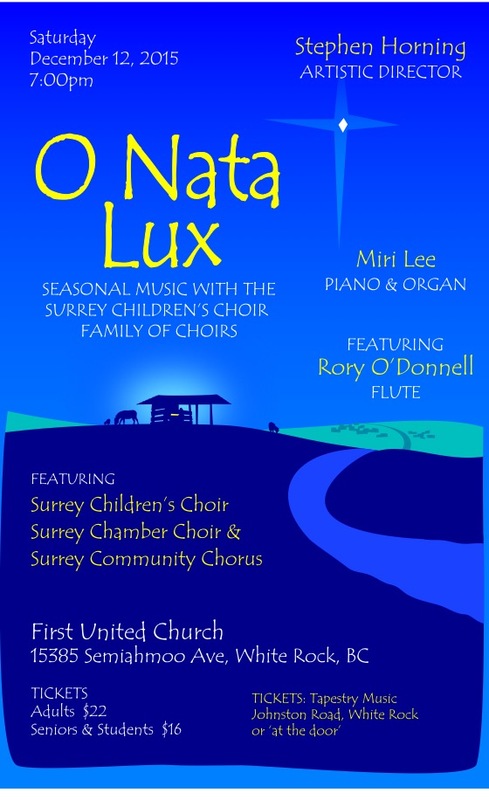 The award-winning Surrey Children's Choir, founded in 1992 presents three concerts annually, a family Christmas Concert, a Spring Orchestra Concert and a choregraphed season end show. design©inclusivemusings - jennifer k. Simple theme. Powered by Blogger.